Paying the lottery is something just about every adult citizen has a right to do. Most countries have them, using the money raised to fund important projects, like community organizations, senior programs and the education system. But in the US, there is no Utah, Mississippi or Alabama lottery, as these three states have consistently posed religious objections to gambling in general. That could soon change in Alabama. Governor Robert Bentley has made clear his intentions to increase the state budget by authorizing a state lottery, and put that plan into motion early last month when he released legislation to get the job done. But it takes a lot more than governor approval to push a bill into the law books. It must first go through the House of Representatives, then on to the Senate, and finally back to the Governor’s desk for his final approval. Lastly, because it involves amending the State Constitution, a voter referendum must be placed on the November ballot, giving citizens of Alabama the final ‘Yay‘ or ‘Nay‘. When Gov. 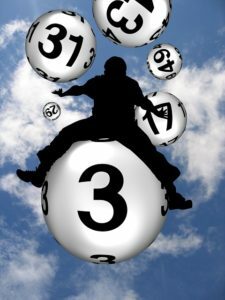 Bentley’s Alabama Lottery bill, SB 11, got to the House last month, Representatives found just enough support to slide it past, with a single vote to spare. But when it landed on the Senate floor the next day, lawmakers were quick to reject the measure by an overwhelming vote of 23-7. We’ll start with the narrow passage of the House. The major problem for many state lawmakers was that, “you can’t bake a cake with just one ingredient”. That was the exact interpretation of State Rep. Barry Moore, who explained his aversion to the lottery bill’s intention to legalize a state lottery, without providing the actual means or legal definitions to do it. 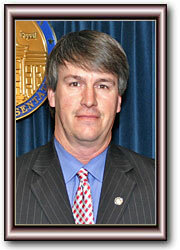 Rep. Barry Moore “The Legislature was provided only the constitutional amendment for consideration, and we were told that enabling legislation could be considered sometime next year, after the referendum vote,” read an Op-Ed by Rep. Moore published in The Southeast Sun.“Passing an open-ended, blank-check constitutional amendment is dangerous and demands a level of trust that I, quite frankly, do not believe Montgomery has earned. Once the amendment is passed, the enabling legislation that followed could open the door to corruption, cronyism, and broken promises with absolutely no accountability to the citizens of our state,” he said, explaining his frustration with SB 11. The Senate – particularly on the Democratic side – were originally on board with the concept of the legislation, but when the House reworded it to specifically regulate only paper ticket lottery sales, they turned their backs on the final script of the legislation. A majority of Senators felt the lottery bill should include regulation of electronic lottery terminals (ELTs), which were intended to relate to the Alabama Lottery. But – as they well knew – ELTs could also be interrupted as the virtual slot machines operated by the Poarch Band of Creek Indians. The tribe currently has a monopoly on such gambling devices in the state, and Democrats wanted to crack open the door to legalizing state regulation of lottery-induced slot machines. So when the rescripted version hit their desks, maintaining the 1901 Constitutional ban on slot machines, their enthusiasm dropped well below sea level.